The roads in South Africa have considerably improved since my adventurer dad made his first African endurance drive in the early sixties. 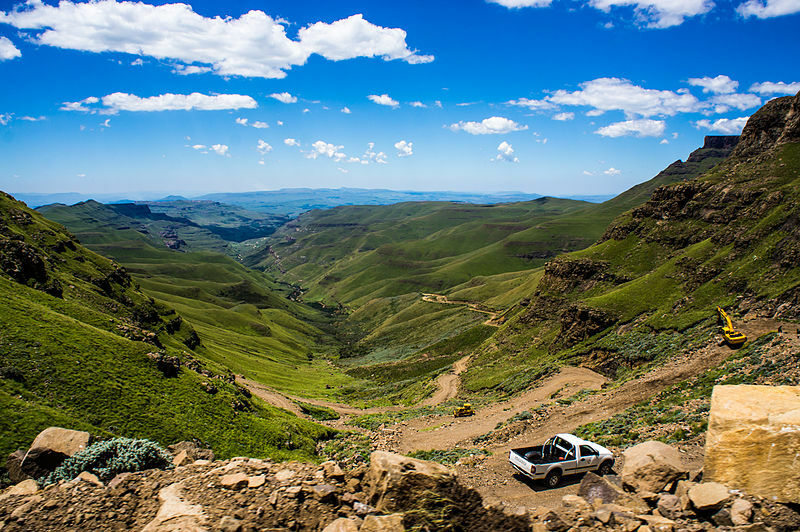 However, there are still plenty of challenges for the adventurous driver and the Sani Pass is definitely one of them. 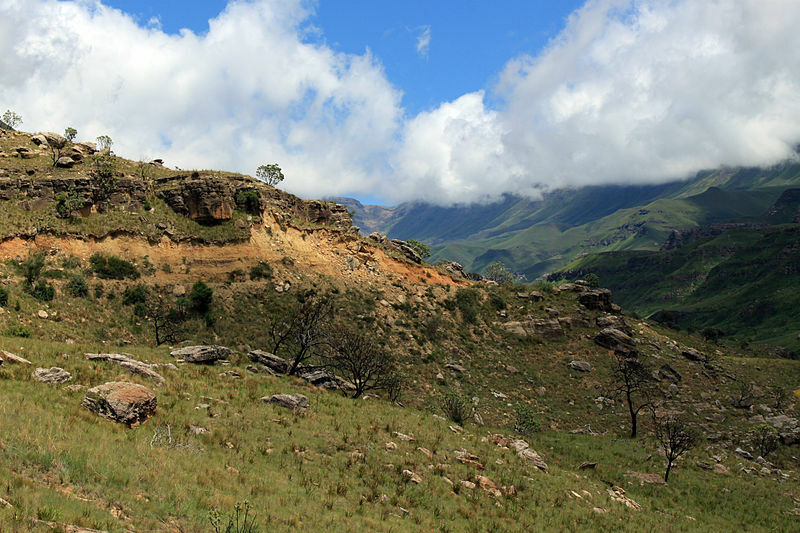 This magnificent mountain pass runs from South Africa (Underberg) and Mokhotlong in the neighbouring country of Lesoto. The road is only about 9 kilometres in length but, as you can imagine from the photographs, can be treacherous. 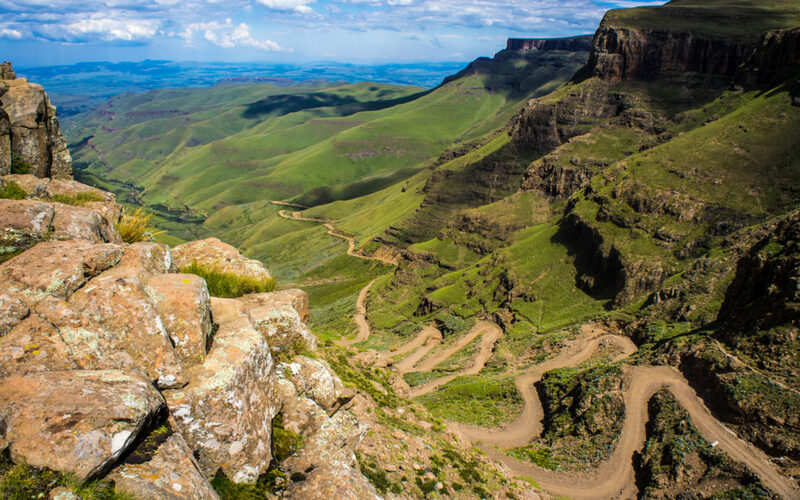 The pass is subject to South African mountain weather and the authorities will not allow drivers to risk the journey in bad weather – they will simply refuse you access. 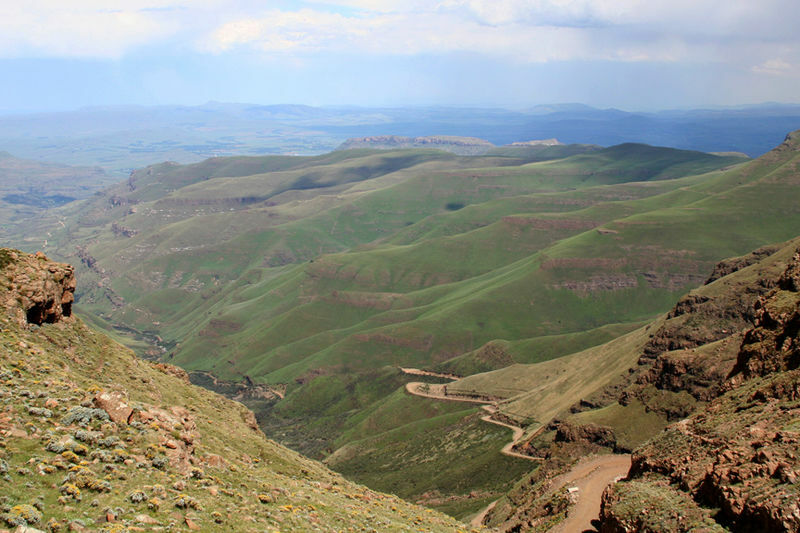 Also if you are driving from South Africa, you will only be allowed to drive along the pass if you are in a properly equipped 4x4 vehicle capable of withstanding the rigours of the journey. The border patrols are only open for a maximum of 12hours per day (6 am to 6 pm) so travelling over the pass at night isn’t possible. Even the most intrepid driver would quail at the thought of a nighttime drive on that road. Don’t worry if your driving skills (or your vehicle) just aren’t up to it – there are several local companies that offer cross-pass transportation for travellers so that everyone can enjoy the stunning scenery and breathtaking views. 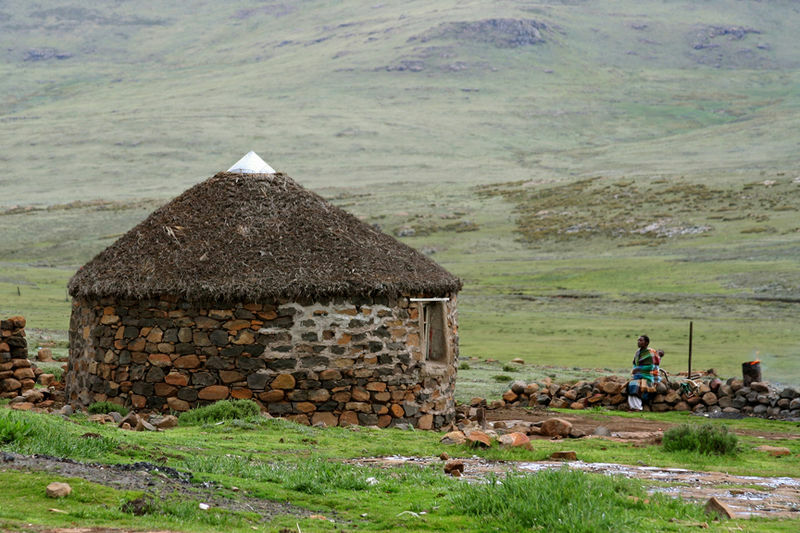 WHERE IS THE SANI PASS?